Songs - HAMSTERS CAN'T PLAY THE PIANO; IT'S BEEN A GOOD YEAR; APOLLO 11; MY MOM MADE IT BETTER; OATS, PEAS, BEANS AND BARLEY GROW (G, A, B, C, D); FEELING YOUR OATS, PEAS, BEANS AND BARLEY... OH MY! (G, A, B, C, D); WHEN TESTING; AT HALF-MAST; PARTNER WARM-UP #6; JUST CALL ME ED; AQUÍ; LOVE THE SUMMER; FUN! ; THE ME SONG; STRUMMING AND SINGING; FLYING EAGLE (Low C, E, G, A); IT'S EASY TO BE KIND. 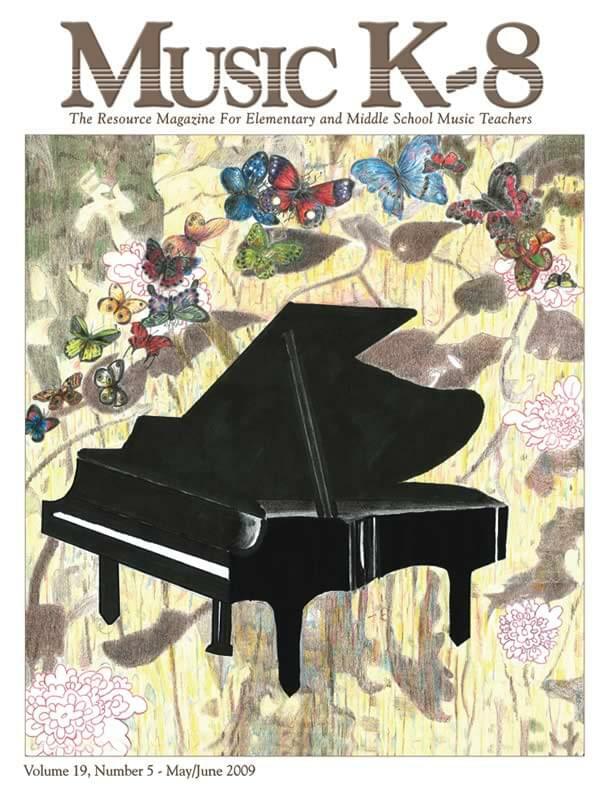 Articles - Cover Contest Results; Network; Finalists, Honorable Mentions; About the Music in this Issue; Mindset - Carol's Corner; Anne's Vocal Clinic; Quodlibet; Photo Journal... and more!